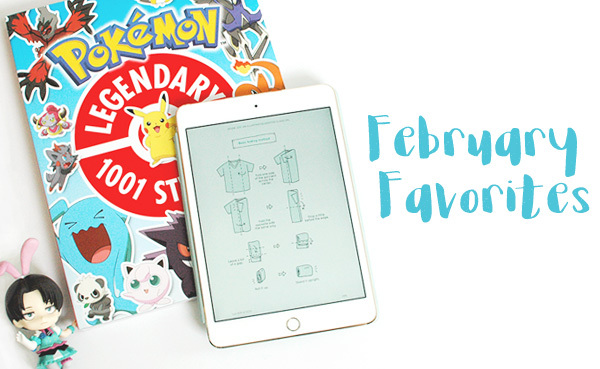 I love how my February Favorites roundup is at two extremes: on one end, I purchased a sticker book that is meant for children, and on the other, I’m perfecting the very boring yet adult art of organizing my clothes. At least I keep things interesting! This month’s post will be shorter than previous Favorites, but you may be surprised to read what I have to say about each one of my picks! PriPara Bright Green Bunny Magician Nendoroid Co-de – The Nendoroid Co-de series is dedicated to releasing different outfits for existing Nendoroids, such as the Sakura Angel Crown Co-de. I believe they’re generally meant to be paired with a main Nendoroid for a greater range of expressions and poses since they don’t come with any interchangeable parts, but since all modern Nendoroids are compatible with one another, you can effectively use a Co-de outfit with any Nendoroid you want. I absolutely love the Green Bunny Magician outfit from the PriPara Nendoroid Co-de series, so when I saw it on Mandarake, I had to pick it up! It’s one of a set of three bunny magician PriPara outfits that were exclusive to the 2016 winter Wonder Festival, which means you could only purchase it new if you went to the event. That makes it relatively hard to find, and also a bit on the pricey side (¥2,500 for a Nendoroid that doesn’t come with a head part is steep!). 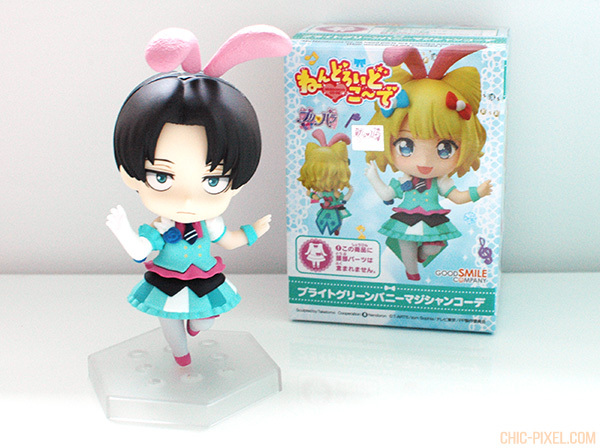 But being able to see Levi in a cute bunny girl outfit is totally worth it, don’t you agree? The KonMari folding method – I don’t believe I’ve discussed it here before, but I’m a big fan of Marie Kondo’s “KonMari” method of tidying. Her insistence on going through all your belongings and removing anything in your life that doesn’t “spark joy” in The Life-Changing Magic of Tidying Up does, on one hand, feel a bit extreme, but on the other I really connected with the idea of stopping to consider whether the things in your home bring you joy to own. I haven’t actually gone through every single one of my belongings using her method, but I feel that I’ve taken some of her suggestions to heart, especially when it comes to letting go of gifts I was never particularly thrilled to receive and clothes I’d hang on to in hopes that I’d wear them again someday. On the subject of clothes, I’ve been reading Kondo’s second book, Spark Joy, and I’m really appreciating the extra information on how to properly organize the things I own. 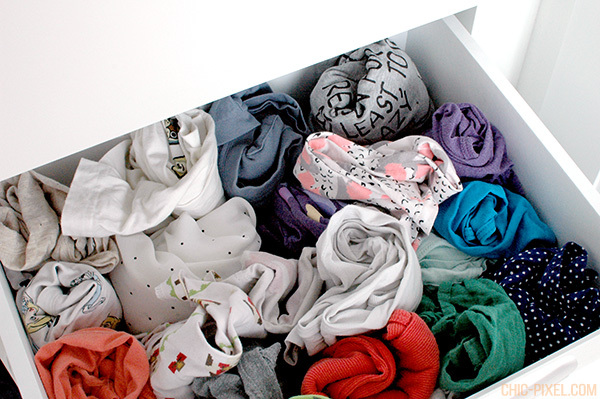 After clearing any unwanted items out my clothes drawers last month, I implemented the KonMari folding method, which basically consists of rolling up your shirts and placing them upright in your drawer so you can see everything you own at once. The photo above is the complete contents of my shirt drawer (minus dress shirts that are hung in the closet) – note how with one quick glance you can see everything that’s available! It’s not exactly the most glamorous thing, but changing the way I fold my shirts has really improved my mood when it comes time to select clothes in the morning. Pokémon Legendary 1001 Stickers sticker book – By far the silliest purchase of February was this Pokémon sticker book, which was entirely an impulse buy when I was out wandering the mall with Mr. Sushi one weekend. But for $10 for over 1000 stickers, I couldn’t pass it up! 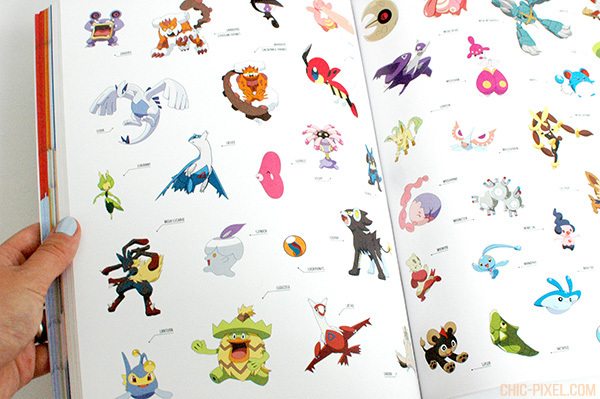 There’s one sticker for each Pokémon through X and Y, along with a few pages of additional stickers featuring Pikachu, the starters, and other Pokemon as “extras” at the end. You’re meant to place the correct sticker in each Pokédex entry at the beginning of the book, but I’m just using the stickers for my Hobonichi Techo. It’s such a good deal!! 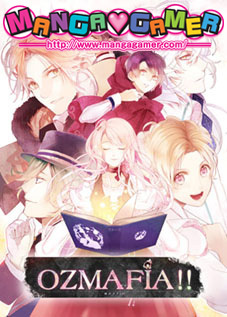 The American name of the book is slightly different, but you can purchase it on Amazon, too. I hope your February was a good one! Did anything in particular stand out for you? Let me know in the comments! This post contains affiliate links. 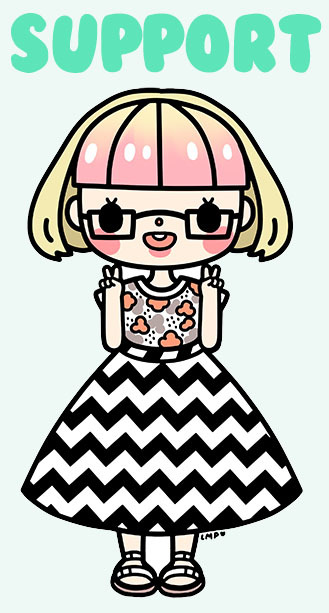 Any purchases made using my links gives me a small commission. Thanks for your support!